The Berri Barmera Council is located in the Riverland region of South Australia, the Riverland population is approximately 33,000, with the Berri Barmera Council population 10,500. The area is 50, 845ha which incorporates the townships of Barmera, Berri, Cobdogla, Glossop, Loveday, Monash, Overland Corner and Winkie. The economic base of the community is driven by horticulture and viticulture and associated industries; in addition, Berri has traditionally serviced the region for state and federal government services. Other major sources of economic development within the area include Accolade Wines Australia located at Glossop; tourism and retail shopping. The region has a well-earned reputation for an outdoor lifestyle and sporting excellence coupled with a naturally friendly and outgoing social acceptance. The region is very much River Murray reliant and the region’s future is linked hand in hand with the health of the river for economy, recreation and amenity. The City of Greater Bendigo is located in central Victoria about 150 kilometres north-west of Melbourne. The municipality with 115,000 is the second largest in regional Victoria. It occupies an area of about 3,000 square kilometres and includes a range of small towns and large rural area in addition to the Bendigo urban are which contains about 85% of the total population. Both the urban and rural areas are experiencing sustained population and housing growth. Population growth has been at around 1.6% over the last decade while new housing starts are consistently about 1,000 per year. The economic base of Bendigo is diverse, which has considerably shielded the City from the loss of jobs which have characterised some regional cities with an over reliance on a few industries. The City has built a strong regional role in health provision which has been strengthened considerably with major addition of a $630M expansion to Bendigo Health and a $60M expansion of St John of God hospital. La Trobe University’s campus in Bendigo has nearly 5,000 students and is undergoing a $50m expansion. Both La Trobe and Monash universities have campuses at Bendigo Health. The Bendigo and Adelaide Bank is headquartered in the city; the only top 100 listed companies not based in a capital city, it has 1,200 employees in Bendigo. Advanced manufacturing is strong in Bendigo with over twenty firms playing leading roles at a national and international level. The stand out is Thales an international firm with a large presence in the city; recently they secured a $1.5B contract to build the new defence vehicle Hawkei. Bendigo is also one of Australia’s major centres for intensive animal production and over 2,000 persons are employed directly in the industry. In terms of housing the supply is unusual for two reasons. Firstly, over 40% of all new housing is redevelopment within the existing urban area, a much higher figure than all other regional cities. This is largely due to the rather scattered and disjointed nature of the city due to its gold mining heritage which saw many areas overlooked for housing and a large number of houses developed on large lots which in time have become suitable for redevelopment. Secondly, Bendigo lacks a clear new residential area development front on the fringe. The fragmented nature of land ownership around Bendigo combined with extensive areas of National Park and other public land that virtually encircles the Bendigo urban area has encouraged the sourcing of land suitable for housing within the Bendigo Urban Growth Boundary (UGB). In 2005 the City Council defined a UGB to cater for projected growth and this won’t be reviewed until about 2022. The largest housing issue in Bendigo similar to many regional cities is the lack of diversity in supply. Despite the fact that 55% of all households in the City are one or two persons 90% of the housing is traditional three plus bedrooms designed for a traditional family size and need. The development and sale of innovative medium density housing represents a small percentage of the housing supply yet is selling well. While there is a supply of relatively low priced housing much of it is old stock, much of it not well presented, and often with poor energy performance. Access to affordable housing for rent and purchase remains a severe problem because of large areas of low income households. Levels of mortgage and rental stress are high in many suburbs and small towns. For example about half of all single mothers are in rental stress. Student housing supply is difficult to manage and many businesses are increasingly relying on short term contract staff who have access to short term rental and push prices up. Understanding the changing needs for housing, ensuring that supply meets the needs of a changing and financially stressed community, coping with the implications of ageing and smaller households, supporting redevelopment of areas with new forms of housing so people can age in their own communities, building 10 minute neighbourhoods (where people can access most of their daily needs within 10 minutes of their house by active transport) and increasing the housing stock in and around our city centre are all priorities for the Council and the community. Gwydir Shire is located centrally within the Northern Inland Region of NSW, one of Australia’s most productive agricultural districts. The Shire was formed in 2004 with amalgamation of the Bingara and Yallaroi Shire Councils along with part of the Barraba Shire Council. The Shire covers an area of 926,236.2 ha and has a population of 5,080 people (ABS 2014). The northern part of the Shire almost touches the NSW/Queensland border, while to the east it is bounded by the Armidale Regional Council, Inverell and Uralla Shires, to the west by Moree Plains and Narrabri Shires and to the south by the Tamworth Regional Council. The Shire has a number of urban areas at Warialda, Bingara, Gravesend, Warialda Rail, North Star, Croppa Creek, Coolatai and Upper Horton. Gwydir Shire contains many different places, each unique. All of these are valued for what they contribute to the Shire’s character and identity. Gwydir Shire draws its name from the Gwydir River which is the main water course of the southern and central areas of the Shire. Bingara is situated on the Gwydir River whilst Warialda on Reedy Creek, one of the larger head water tributaries of the Gwydir. Population: The population of the Shire for the reporting period is detailed in the following. This has been compared against historical Australian Bureau of Statistics data and regional New South Wales. Like many rural areas, the Shire needs to respond to changes on a number of fronts. Agriculture remains the dominant industry in the Shire. Yet this industry is subject to significant change – such as the general ageing of the farming population, market changes, and the possible impacts of climate change. Gwydir Shire is also subject to the broader social pressures occurring in rural areas – such as mental health issues, urban drift of young people, and general population decline. Balancing these challenges are the many positive characteristics of the Shire. These include its unique climate, its central geographic location, the relatively small population, picturesque and popular natural features and attractions, and strong community spirit. These are the core elements contributing to the identity of the Shire of Gwydir and its people. The Shire is sparsely populated with concentrations within the urban areas of Bingara, Warialda and the smaller villages. This represents a challenge with respect to the equitable delivery of services to the more remote residents within the Shire. Also the proximity of larger urban areas accessible to the fringes of the Shire (Narrabri, Moree, Goondiwindi, Inverell, Tamworth and Armidale) results in a significant loss of escape expenditure outside the Shire. The Council must provide enhanced services to the beginning and end of the life cycle. The issue of skilled workers and an adequate workforce in general is also being addressed through the Council’s support for the Gwydir Learning Region. One challenge presented as a result of the Shire’s age profile is a growing skill shortage, which is closely correlated to the age profile of our community. This requires a strategy that addresses the retention of our young people, the inward migration of more people and the development of the people that are here. Housing Stock generally in the Shire is detached single storey residential premises. There are a number of Council owned flats for the aged and low income housing. Council also owns and operates an Aged Hostel facility. The LGA is a membership organisation for all councils in South Australia and is the voice of local government in this State. The LGA is created by councils and endorsed by the South Australian Parliament through the South Australian Local Government Act 1999 and is recognised in 29 other South Australian Acts. All 68 councils in South Australia are members of the Association. The local government system in South Australia is integral to the democratic system of Government in Australia which provides vital economic, social and environmental support for communities. South Australian councils in 2015 managed about $22.4 billion of infrastructure and operating expenditures of about $2.0 billion a year. Councils receive significant Commonwealth and State funding and work in partnership at the local level for communities. expanding roles and increases in standards of service to respond to community demands, other Governments and service gaps. policies which encourage diversity of housing types and social mix in the local area. improved accessibility between housing, employment and services. The City of Moonee Valley is located between 4 and 13 kilometres north-west of Melbourne’s CBD, covering 43 square kilometres. The municipality is predominately made up of established residential neighbourhoods complemented by a series of activity centres, open spaces, community facilities and specialised land uses such as the Moonee Valley Racecourse and Essendon Airport. Approximately 120,837 people currently live in the City of Moonee Valley (2016). By 2036, an additional 28,474 residents are expected to call Moonee Valley home, representing a population increase of 23.56%. This growth is driven by natural population increase in conjunction with domestic and international migration. Moonee Valley is sited on the traditional lands of the Wurundjeri people of the Kulin Nation, who for thousands of years have cared for the land and waterways. More than 300 people identified as Aboriginal or Torres Strait Islander in the 2011 Census, which is equivalent to 0.3 per cent of Moonee Valley’s population. Almost one third (27 per cent) of our population was born overseas with the top 3 countries of origin being Italy, United Kingdom and India. Around 30 per cent of our population speak a language other than English at home. The majority of dwellings in Moonee Valley currently are detached houses (64.9 per cent) with flats, apartments and units making up the second most prevalent housing type. Of the almost 45,000 dwellings in Moonee Valley today, a majority have three or more bedrooms (64 per cent) with two bedroom homes making up around a quarter (24 per cent) of our housing stock. Only 6 per cent of homes are 1 bedroom or studios. With the trend towards smaller households and increased lone person households, there is predicted to be high demand for apartments (approximately 38% of new dwellings), however families will continue to make up a large percentage of the Moonee Valley population at just over 40%, indicating there will be continued demand for detached and semi-detached housing. Median house prices in Moonee Valley almost doubled over the ten years from 2004-2014 from $400,000 to $745,000. The median unit price also increased substantially from $272,500 in 2004 to $470,000 in 2014, making housing affordability an issue for our community. One in five (21.8 per cent) households experience rental stress and 7.3 per cent are experiencing mortgage stress. Less than 2 per cent of rental housing is affordable, compared to 18 per cent in Victoria. Moonee Valley has the third highest proportion of social housing dwellings in Victoria making up 8.9 per cent of total dwellings. It is important for Council to understand and plan for the changing needs of our community and the types of housing required in the future. The increase in population and changing demographics within Moonee Valley highlights the need for Council to identify areas for housing growth and to promote housing diversity and affordability. The Boandik nation inhabited the Mount Gambier region for tens of thousands of years before Europeans came onto their land. The Boandik forebears witnessed the dramatic geological events that gave rise to what is the Blue Lake and associated volcanic features, the geological focal point of south eastern South Australia. European settlement has been in Mount Gambier around 200 years. It was the bountiful resources that attracted these settles, from the rich soils and plentiful water to fisheries. These resources continue to support the Mount Gambier region today. The City and its region has developed over the last 170 years into a leading resource based economy with a diverse tourism, agricultural and grazing industry as well as Australia’s leading softwood plantations and associated manufacturing. Mount Gambier is a centre for education, health services, retail, the service sector and government administration. The estimated Residential population in 2015 was 26,348 with a population density of 7.75 persons per area. The land area is 3,388 hectares. (34Km2). Analysis of the housing tenure of the population of the City of Mount Gambier in 2011 compared to regional South Australia show that there was a smaller proportion of households who owned their dwelling; a larger portion purchasing their dwelling; and a larger proportion who were renters. Overall, 27% of the population owned their dwelling; 33.7% were purchasing and 33.4% were renting, compared with 35.2%, 29.9% and 26.7% for Regional South Australia. Analysis of the household/family types in the City of Mount Gambier in 2011 compared to Regional South Australia shows that there was a similar proportion of couple families with child(ren) as well as a higher proportion of one-parent families. Overall, 24.9% of total families were couple families with child(ren), and 12.6% were one-parent families, compared with 24.6% and 9.2% respectively for Regional South Australia. There were a higher proportion of lone person households and a lower proportion of couples without children. Overall, the proportion of lone person households was 30% compared to 27.3% in regional South Australia while the proportion of couples without children was 26.2% compared to 30.4% in Regional South Australia. The majority of the City of Mount Gambier is located within the Blue Lake Groundwater Protection Area. New growth areas to the North are outside the groundwater protection area but are still located within the Blue Lake Capture and Buffer Area. Retirement Housing/Migrant Housing (changing demographics). Housing SA – existing stock of community housing and the social perception of these areas. Regeneration within existing areas including the regeneration of the older housing stock. Affordable Housing, to ensure housing remains affordable (currently not an issue within the City of Mount Gambier). Demands on existing infrastructure (roads/stormwater disposal and management/water/sewerage/communication/energy). Urban sprawl (how much further to allow expansion). Rejuvenation of the City Centre and older areas to create vibrant and active places. Covering an area of 1,529 square kilometres, Mount Alexander Shire has much to offer, from beautiful heritage streetscapes and picturesque townships to stunning natural surroundings, a thriving local economy and a strong and vibrant cultural life. Located just 120 kilometres north-west of Melbourne, Mount Alexander Shire is an accessible and well-serviced location. Mount Alexander Shire enjoys an enviable variety of employment options and economic opportunities. In an area previously known for its gold rush history and strong agricultural sector, today manufacturing is a key industry. Employment within the Shire extends to health, retail, education and community organisations. Tourism and the art sector also provide a strong platform for local businesses. The Dja Dja Wurrung people are recognised as the first peoples of Mount Alexander Shire. The City of Playford is an outer metropolitan council located approximately 30 kilometres north of the Adelaide CBD and is situated on Kaurna lands, the traditional custodians of the Adelaide Plains. In the 1950s Elizabeth was developed as a satellite town and manufacturing hub, becoming home to many British migrants attracted by inexpensive housing and steady work. Greek, Italian and later Vietnamese migrants settled in the west of the Council area, which has traditionally been a horticultural region. Today, Playford is becoming home to a more diverse community, with people settling in Playford from places such as Sudan and Afghanistan. General Motors opened its Elizabeth factory in 1960 and has been a key employer in the region ever since. However, the factory’s doors are due to close in late 2017 with as many as 13,000 job losses within the State expected to occur as a result of the closure and its impact on the supply chain. The population of the City of Playford is characterized by relatively high disadvantage, which is evidenced by a Socio Economic Index For Areas (SEIFA) score of 871, compared with 993 for Greater Adelaide and 1002 for Australia. However, there is significant disparity within the population, with those living in the rural townships generally experiencing much lower levels of disadvantage. The City of Playford is the fastest growing Council in South Australia with an average annual growth rate of 2.68% over the last 10 years. The Playford Growth Areas Structure Plan contemplates the addition of 38,000 dwellings, 103,000 people and 43,000 jobs over the next 30 years. Whilst growth creates many opportunities for the region, it also poses ongoing challenges of providing appropriate public infrastructure to service new neighbourhoods and support a growing population. At the 2011 Census, 13% of households consisted of social housing compared with 7% across metropolitan Adelaide. Social housing is concentrated in the older Elizabeth suburbs, with the highest concentration in Elizabeth South at 36%. Renewal of these suburbs is frustrated by low land values and availability of greenfields land elsewhere in the Council area. The Playford community is vulnerable to housing-related stresses. Compared with the Greater Adelaide region, the City of Playford is characterised by higher levels of unemployment, single parent families, households experiencing mortgage and rent stress, recipients of rent relief from Centrelink and recipients of disability support pensions. Given these characteristics, the need for social housing in Playford is likely to be high; however accessing housing can be difficult. The State Government’s Housing Strategy for South Australia 2013-2018 advises that over 21,000 people seek public housing each year in South Australia but fewer than 3,000 new allocations are made. The City of Playford is building community resilience through a number of initiatives, including the building of a Regional Sports Precinct, the creation of the Lyell McEwin Health Precinct and developing the Elizabeth Regional Centre to become the ‘CBD of the North’. Additionally, new industry and workforce development opportunities are being pursued through the new Stretton Centre. It is important that local people have access to local job opportunities as there is much evidence to show unemployment and poor physical and mental health are closely linked. These projects aim to help the local economy diversify away from manufacturing and attract investment, visitation and employment. Randwick City is located in the south eastern suburbs of Sydney, between 4 and 14km from the Sydney GPO; and brings to light a rich social heritage and the unique physical environment of the ‘beautiful marine township of Randwick’, as it was incorporated in 1859, one of first to be proclaimed in New South Wales. The Randwick City Estimated Resident Population for 2015 is 145,822 persons, with a population density of 40.13 persons per hectare. Covering more than 36 square kilometres, Randwick City has extensive parklands and foreshore coastline, which includes Centennial Park, Heffron Park and the coastal environments of Botany Bay National Park including nine coastal beaches. Randwick City also contains a number of major strategic and economic assets including the University of NSW, the Randwick Hospitals Complex, Royal Randwick Racecourse and Long Bay Gaol. Key infrastructure projects currently underway in Randwick City, include the construction for the CBD to South East Light Rail Project extending light rail from Sydney CBD to Randwick and Kingsford, expected to be completed by 2019. Randwick City’s housing stock is diverse with higher density housing forms to the north, large master planned sites on former government land and low density housing forms to the south. Also to the south are some of Randwick’s largest social housing estates. While Randwick City has one of the largest numbers of social housing stock (at approximately 6.7% of total households) when compared to other metropolitan council areas (greater Sydney at 5% of total households), it is also one of the most expensive areas in Sydney to rent and purchase a home. Randwick City has continued to lose affordable housing stock which is mainly due to increasing land and property values, increasing rents and the resultant loss of rental stock at the lower end of the market. The loss of affordable housing has particular implications on the local businesses in the area ability to hire the essential key workers needed to support these businesses. The Randwick Education and Health Precinct (to the north of Randwick LGA) is Randwick’s largest employment destination and is characterised by a concentration of education and health-related institutions, businesses and research presence including the University of NSW and Prince of Wales Hospital, Royal Hospital for Women and the Children’s Hospital, Neuroscience Research Australia and the Lowy Cancer Centre. Randwick’s Hospitals Complex have noted the difficulty in filling job vacancies for specialist nurses (such as paediatric and neonatology nurses) who are highly desirable in terms of international competition for their skills and being priced out of living in the area. A projection in employment for this centre will not only generate demand for these specialist nurses, it will generate demand for services typically staffed by lower income earners, such as childcare workers and shop assistants. The resulting loss of population diversity including lower income key workers, street life vibrancy and social authenticity presents a significant risk to Randwick City’s economic productivity and success as a major contributor to Greater Sydney as a global city. Without provision of more affordable forms of housing, the market can be expected to continue to produce more expensive housing in the area, so that housing will only be affordable to households on relatively high incomes. The Rural City of Murray Bridge is a thriving region on the banks of the Murray River. With a population of 20,971 and just a one hour drive from Adelaide, the Rural City is very well placed in terms of its geographical location. Being on the national road network with road and rail access to the eastern states and Adelaide, its proximity to metropolitan Adelaide, connection to the South Eastern Freeway, land affordability, investment opportunities, and river connection make the Rural City of Murray Bridge an appealing place to live, work and visit. 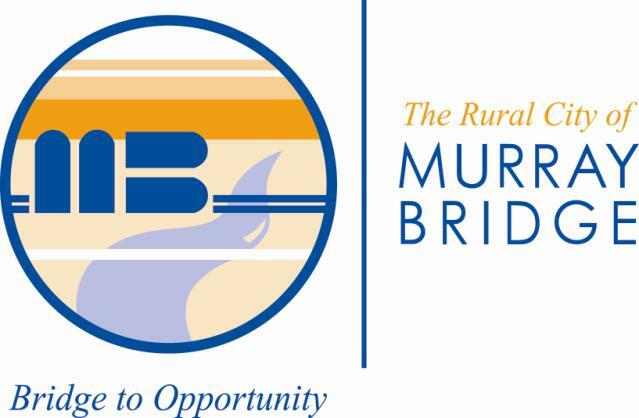 The Rural City of Murray Bridge is a buoyant region where industry, tourism and agriculture are growing. As a major agricultural district, the region supports irrigated horticulture, dairying, cropping and intensive animal keeping throughout the rural areas. A range of primary and secondary industries are clustered around Murray Bridge and Monarto; with competitively priced industrial land, the area provides significant opportunity for expansion outside metropolitan Adelaide. A bustling vibrant regional centre, Murray Bridge supports a wide range of services and an expanding range of commercial, retail and hospitality facilities to the local community, the Adelaide Hills and Fleurieu Peninsula. The surrounding townships, our Rural Communities, with their strong heritage values and enticing landscapes attract visitors and tourists adding value and contributing to the vitality of the regional economy. The idyllic surroundings also provide a quality and way of life that attracts people to live in this region. The Council area has a rich indigenous heritage being situated on the traditional lands of the Ngarrindjeri people as well as a significant part of the nation’s history being the location of the first bridge to cross the Murray River (1879). The Monarto Zoo is one of the region’s major tourism attractions. The zoo, sporting events, water based activities and house boating on the Murray are a few of the experiences that are enjoyed by locals and visitors alike. The housing stock within the Rural City of Murray Bridge has been growing steadily over the last few years on the back of steady economic growth. Murray Bridge also has a significant number of Housing Trust properties, almost 10% of the total housing stock in the Council area, which were mainly constructed between the mid-1960s and mid-1980s. These are clustered in the south east of Murray Bridge, close to the High School and other educational establishments. The main housing growth in recent years has been provided by one large development (Pathways) and through infilling and sub-division. Future growth is planned strategically through a Residential Growth Areas Structure Plan and current work in delivering Development Plan Amendments to deliver these on land within the current urban boundary of Murray Bridge. Significant growth at Gifford Hill (separated from Murray Bridge by the South Eastern Freeway) has been proposed for a number of years, but has yet to come to fruition. The Sunshine Coast Council area is located in southeast Queensland, about 100 kilometres north of Brisbane. The Sunshine Coast is a diverse region with picturesque hinterland towns, coastal urban centres, waterways, national parks, state forests, bushland, rural areas and scenic mountains. The Sunshine Coast in 2016 has: an area of 2,291km², 130 kilometres of coastline, over 3,700 kilometres of waterways, 1,324 hectares of recreation parks and reserves, 5,733 hectares of environmental reserves, 2,743 kilometres of roads, 1,092 kilometres of pathways, 136,360 residents employed, $12.94 billion Gross Regional Product, 5,468 building approvals issued by council and private certifiers with an estimated value of construction of more than $1.1 billion. Sunshine Coast has been identified as a region with significant housing affordability challenges and opportunities. The Sunshine Coast is experiencing high housing costs relative to income, resulting in housing affordability concerns. There is high population growth, high car dependency and limited housing diversity. Councils adopted Affordable Living Strategy 2011 seeks to capitalise on opportunities for a more compact urban from to promote liveability, sustainability and affordability. The concept of “Affordable Living” is greater than the financial cost of living and housing. “Affordable Living” considers the way in which we live and move around, the resources we use and the wellbeing of our existing and future communities. Affordable living is firmly grounded in the fundamental values of equity, sustainability, inclusion and innovation. Sunshine Coast Council has prepared an innovative approach to affordable living, balancing government and industry directions, and developing local solutions with our community that are inclusive and provide opportunities to all residents. Council’s primary tools are advocacy, facilitation and our legislative role in planning. Promoting vibrant and inclusive places to live with a resilient Sunshine Coast economy. The Waverley LGA is located in the eastern suburbs of Sydney, about seven kilometres east of the Sydney GPO. It is the second oldest LGA in New South Wales and is named after an early property in the area, which was named after Sir Walter Scott’s “Waverley Novels”. Aboriginal people occupied sites in the area now known as Waverley in the period before European settlement. A number of place names within Waverley Municipal Council area, most famously Bondi, have been based on words derived from Aboriginal languages of the Sydney region. The Waverley LGA has a high proportion of residents from an Anglo-Celtic background (the three largest ancestries in Waverley LGA are English, Australian and Irish). It has a higher proportion of residents with a Jewish, South African and Russian background than Greater Sydney. Conversely, it has a much lower proportion of residents from an Asian background than Greater Sydney. The Waverley area has an estimated population of around 73,000 (2015), with a population density of around 80 persons per hectare. Waverley is the most densely populated Local Government Area in Australia, followed closely by the City of Sydney. Waverley residents are highly educated and have high incomes. The proportion of residents with a Bachelor (or higher) degree is more than double the national average and the median weekly income for residents within the LGA is more than 1.5 times the national average. Around 9,000 businesses currently operate in Waverley from Bondi Junction to Bondi Beach, Rose Bay to Charing Cross and Tamarama to Bronte. The LGA has over 26,000 local jobs and over 44,000 employed residents. The main drivers of the Waverley economy are local and district population serving sectors as well as tourism. The largest industry categories are retail and food services, followed by health, education and professional services. Sydney CBD and Bondi Beach, which is one of the most visited tourism destinations in Australia. It contains Australia’s ninth busiest bike route and weekday lunchtime pedestrian activity along Oxford Street is higher than that in Circular Quay. The Waverley LGA’s urban fabric comprises a patchwork of detached, semi-detached and terraced Victorian, Federation and interwar dwellings; two storey inter-war flat buildings; three and four storey residential flat buildings (1950s-70s); and medium and high rise residential towers (1980s to present). Approximately 80% of the population live in high and medium density dwelling types – more than three times the national average (25%). Waverley has a higher proportion of one and two bedroom dwellings (45%) and a much lower proportion of three and four bedroom apartments (30%); compared to the national average (24% and 62%, respectively). The Waverley LGA contains some of the most unaffordable house prices in Sydney. The median house price ($2.5mil) is more than double the Sydney average ($1mil) while the median apartment price ($975k) is 50% higher than the Sydney average ($656k). It has the highest median price for one bedroom apartments in Australia. According to Shelter Australia’s Rental Affordability Index, the Waverley LGA is ‘extremely unaffordable’ and contains five of the 14 most unaffordable suburbs in Sydney. Furthermore, there is a low proportion of social housing in the Waverley LGA (2%) compared to the rest of Sydney (5%). To address the issue of affordability Waverley has an Affordable Housing Program that has been in place from the 1990s. There is currently 43 units of affordable housing, of which 21 are in perpetuity. This program is currently funded by Voluntary Planning Agreements that require 10% of all funds to be dedicated to affordable housing.